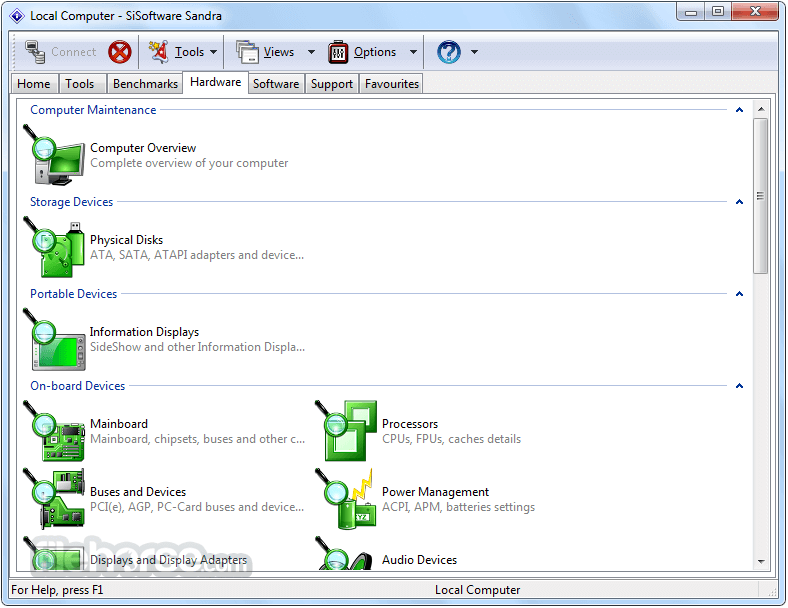 SiSoftware Sandra Lite (the System ANalyser, Diagnostic and Reporting Assistant) is an information & diagnostic utility for Windows PC. 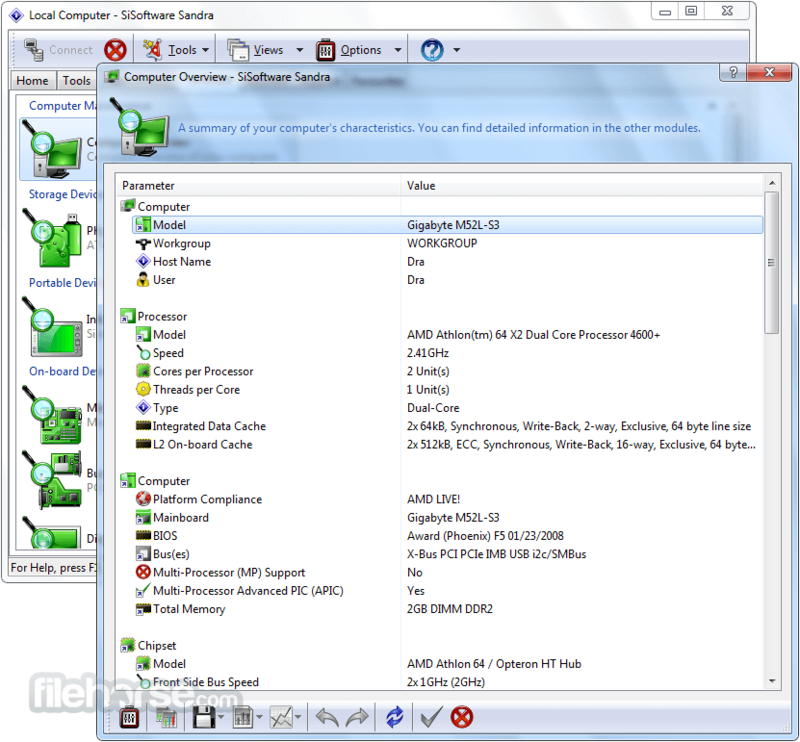 It should provide most of the information (including undocumented) you need to know about your hardware, software and other devices whether hardware or software. Sandra is a (girl) name of Greek origin that means "defender", "helper of mankind". We think that's quite fitting. 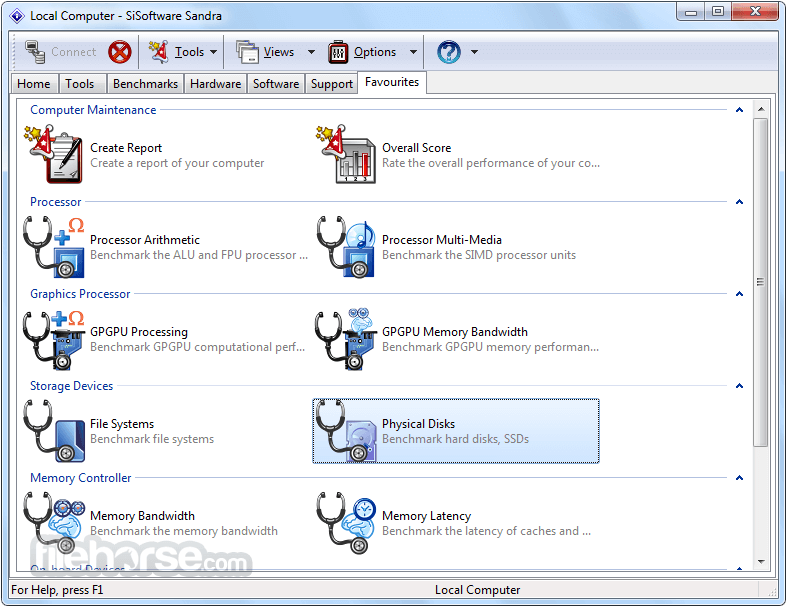 SiSoftware Sandra Lite was designed to be a 32 and 64-bit Windows system analyser that includes benchmarking, testing and listing modules. 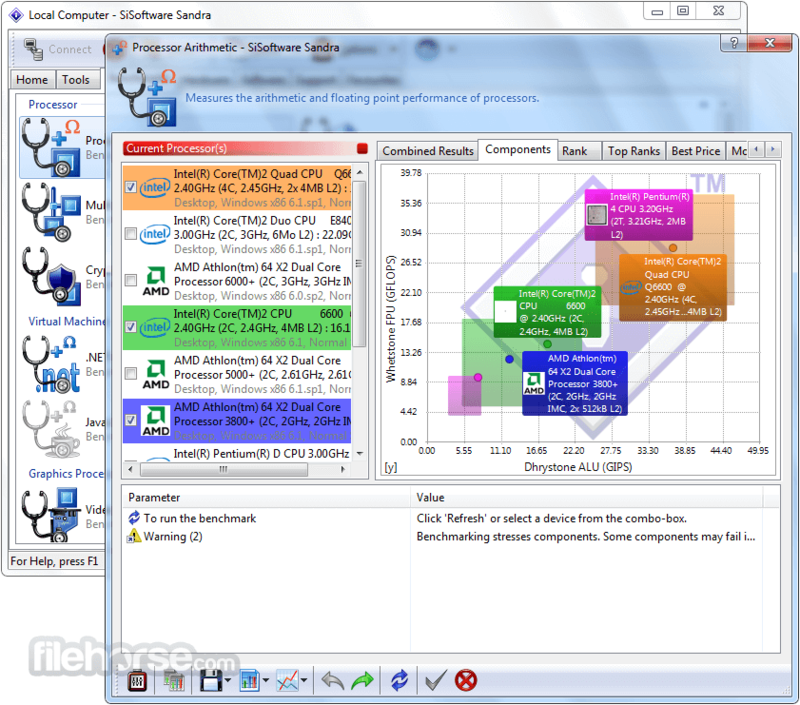 Great Benchmarking Software for Windows PC! 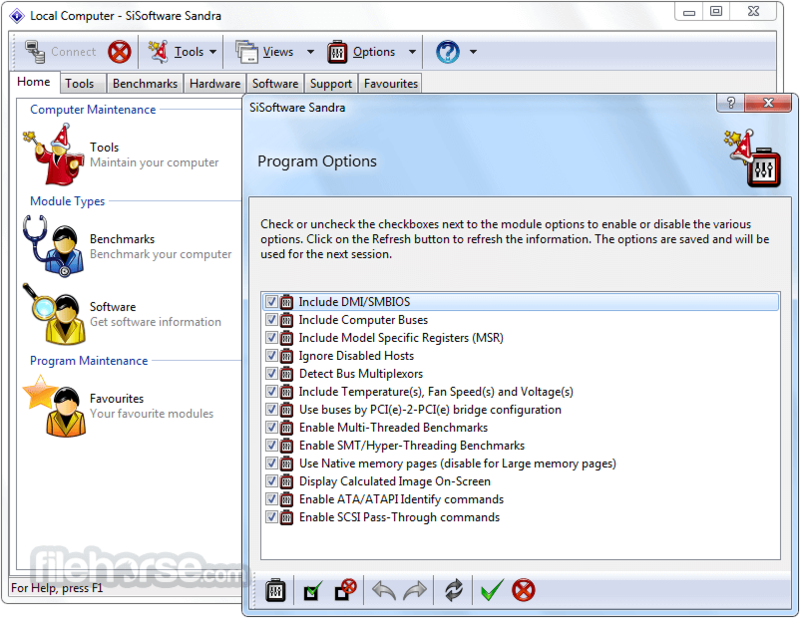 Note: Some modules are not available in the Lite version (they are grayed-out). For private or educational use only (commercial use not allowed).